We have a good selection of Bergenia and Brunnera for sale in the plant nursery. These are very useful plants for the shade and are highlighted below in green, many can be seen in the garden. 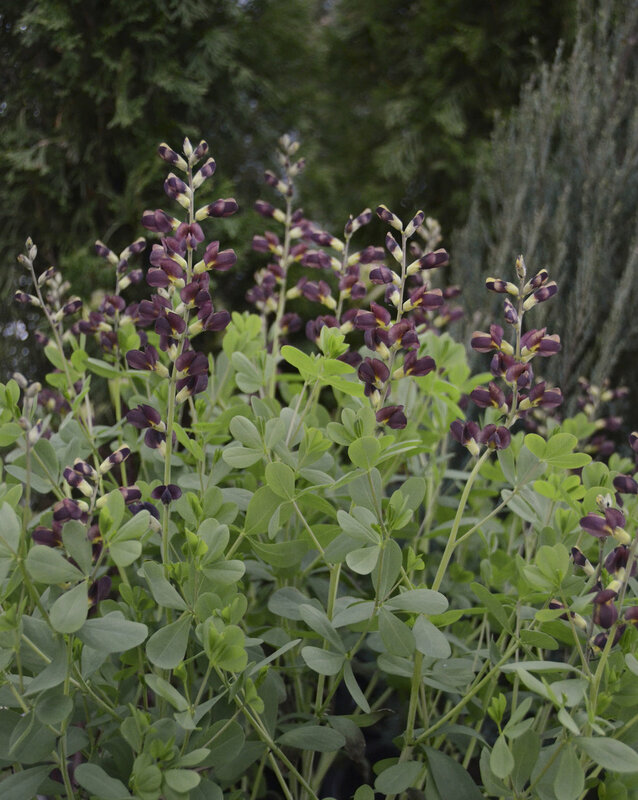 For 2019 we have added BAPTISIA australis ‘Alba’ and BAPTISIA ‘Vanilla Cream’ giving us 6 varieties of this striking summer plant and we are now also stocking BRUNNERA macrophylla ‘Jennifer’ extending the selection of these shade-lovers. Blue green foliage. Indigo blue, lupin-like flowers in June. Butter yellow spires above excellent blue-green foliage. 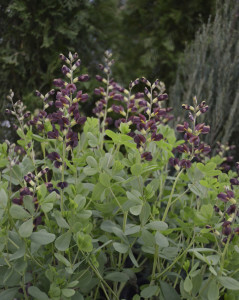 Chocolate-purple spires above blue-green foliage. Early summer. Pastel yellow buds open to creamy white spikes in early summer. Excellent grey-green foliage. Pale pink flowers, rounded leaves. white. Red flushed evergreen winter foliage. Large pale green leaves turn coppery red in autumn and through the winter. Deep pink flowers are held in large clusters well above the foliage in spring. This form has smooth green leaves with a hairy edge. Deciduous. Grown from Chadwell wild collected seed. Excellent upright plant flowering from late summer to the frosts. White daisy flowers top the stems covered with ferny foliage. Bright blue flowers, fading to pink with age. Sprawling. Pure white flowered form. Plain green leaves. A sport of “Jack Frost”. The young foliage has a golden frosting which fades to silver. The stem leaves are also golden. Excellent with blue flowers. Blue and white flowers above green foliage. More stable than B.’Starry Eyes’ that we have listed before. Large leaves marked with silver. 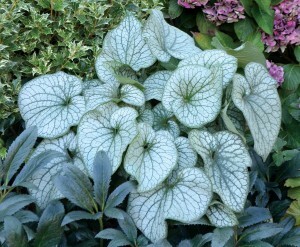 Again, a very useful vigorous shade plant. Blue flowers in spring. Large thick leaves suffused with silver. Two toned flowers of pink and blue in spring.